For the corn salsa: In a bowl, blend the tomatoes, corn, green onions, yellow onions, cilantro, vinegar, juice, jalapenos and salt and pepper to taste, mixing well. Refrigerate for 30 minutes to 1 hour. 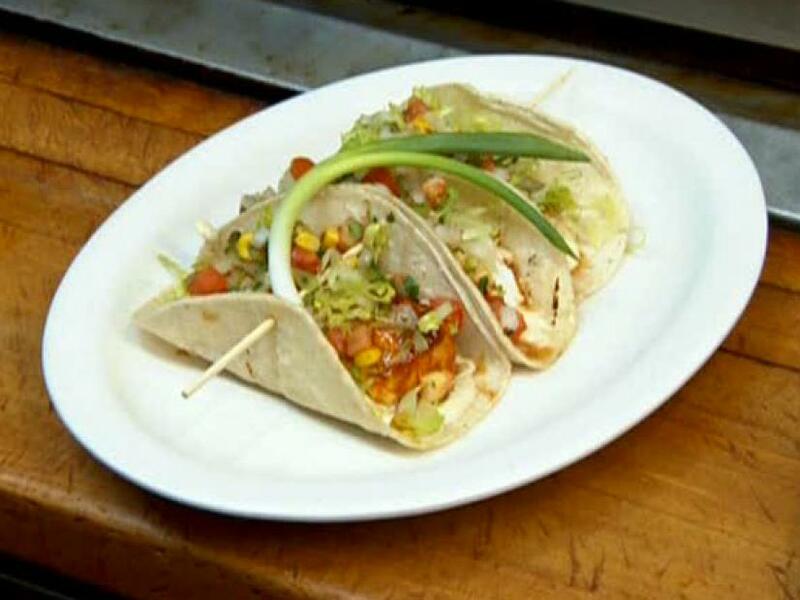 For the tacos: Preheat a grill to 350 degrees F. Sprinkle the fish with salt and pepper and grill for 3 to 4 minutes. Flip the fish over and grill for 3 to 4 minutes. Remove the fish from the grill and keep warm. Grill the tortillas on each side for 1 minute. Be careful not to scorch the tortillas. Divide the lettuce evenly on each tortilla. 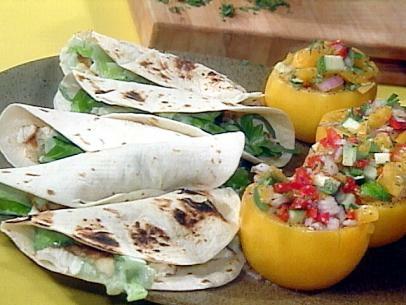 Top each tortilla with the fish, squeeze of lemon juice and 1 to 2 tablespoons of the corn salsa and serve.